Wicked Witch of the East? I was over at a friend’s house yesterday and had a good chuckle over where she keeps her gardening clogs. 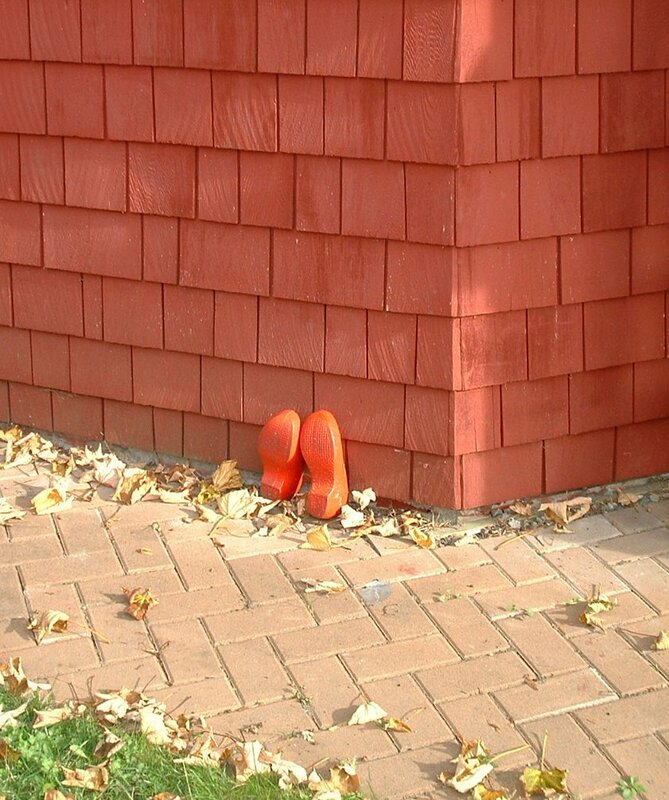 It looks like Dorothy set her house down in their back yard!